A main difference between traditional LED and LCD displays and OLED displays is the vastly superior picture quality of the OLED. 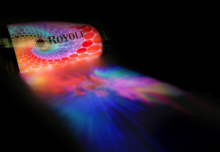 OLED technology enables the creation of thin, efficient and bright displays and lighting panels. 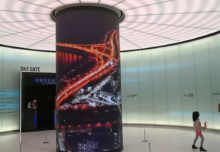 Boasting both a broad color spectrum and vibrant colors, transparent OLED technology has been praised for its amazing color performance compared to traditional LED and LCD displays. With cutting-edge OLED technology, LG Electronics introduces an innovative OLED Signage with perfect picture quality and a revolutionary pencil-thin design, adding artistic value to display functionality. What is an OLED ? OLED (Organic Light Emitting Diodes) is a light emitting technology created by placing a series of organic thin films between two conductors. A bright light is emitted when an electrical current is applied. 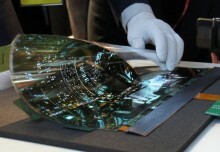 Furthermore, OLEDs can also be flexible and transparent allowing for more immediate applications such as being embedded in windows, for example. Transparent OLED is a breakthrough display technology that makes it possible for dynamic or interactive information to be presented on a transparent glass surface. Transparent OLED technology allows users to view what is shown on a glass video screen while still being able to see through it. 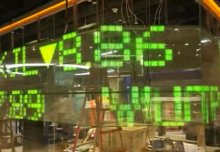 Designers can overlay video content, digital images, and text onto physical objects that sit behind the glass. Another huge difference between OLED and other display technologies is that OLED is a light emitting technology. It requires no backlight, which allows its display to be completely open and gives 360 degree views for observers. It is possible to create truly see-through installations in a frameless glass design with OLED. 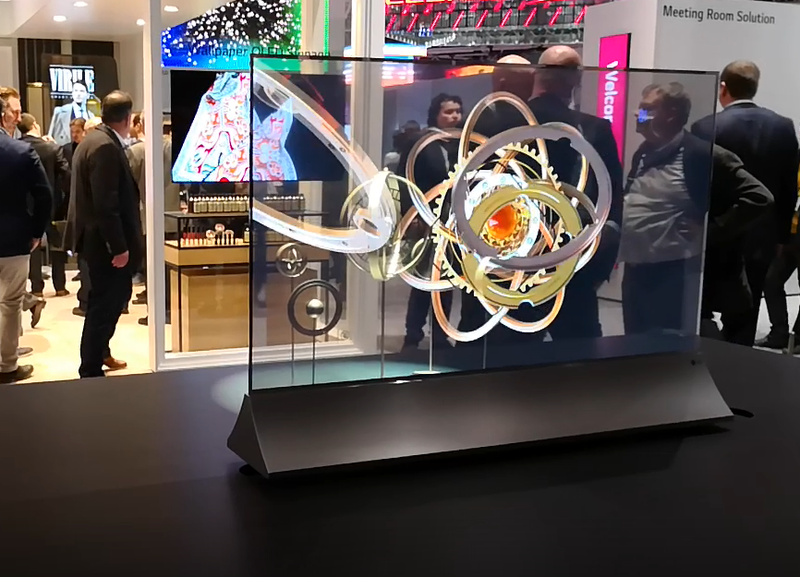 In short, the properties of transparent OLED allow for endless possibilities in terms of shape and size while maintaining superb picture quality. **Accessories include stand convec top/slider/bottom deco, cables, IR, etc. High performance SoC & high internal memory capacity (128 GB) enable perfect UHD-synced playback without the need for media players.